Orca Gold Indicated and Inferred Re | Orca Gold Inc.
VANCOUVER, BRITISH COLUMBIA--(Marketwired - Feb. 4, 2015) - Orca Gold Inc. (TSX VENTURE:ORG) ("Orca" or the "Company") is pleased to announce an updated Mineral Resource Estimate for its Block 14 mineral license in Sudan. The Mineral Resource estimate, using a cut-off grade of 1.0 g/t, now comprises an Indicated Resource of 27.64Mt grading 1.83g/t for 1.63 million ounces of gold (a 24% increase over January 2014) and an Inferred Resource of 10.28Mt grading 1.8g/t for an additional 0.59 million ounces (a 48% increase over January 2014). This includes resources from both Galat Sufar South ("GSS") and Wadi Doum, a second target 55km east of GSS previously known as EG 3.2 (figure 1). The Mineral Resource has been estimated using the results of 71,072 metres of drilling (5,060m of diamond drilling and 66,012m of reverse circulation drilling, including 8,751m at Wadi Doum) completed between November 2012 and December 2014. 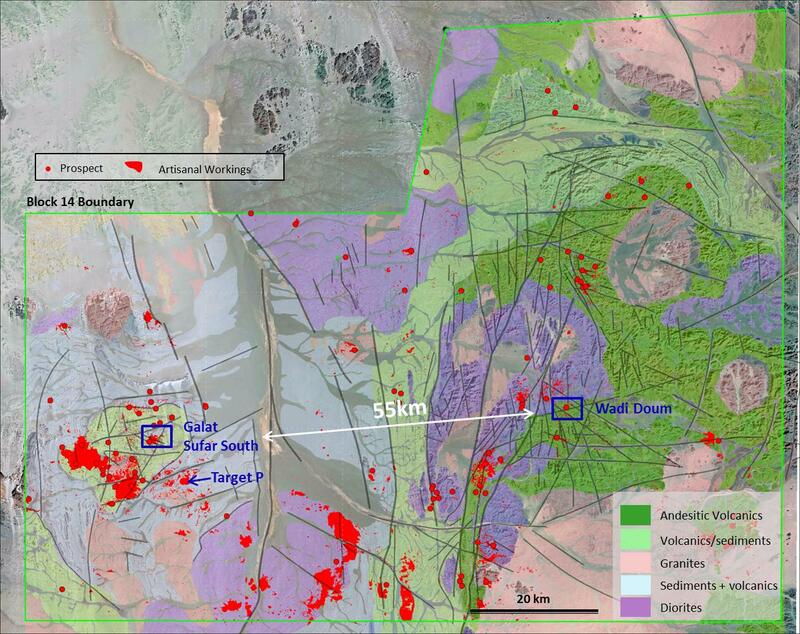 87% of the Indicated Mineral Resource and 54% of the Inferred Mineral Resource lie within 150 metres of surface. 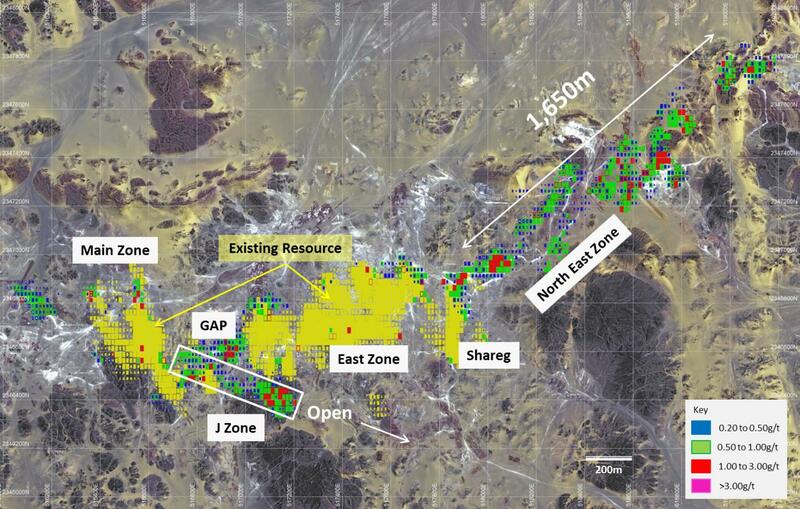 Resource additions at GSS derived from drilling in the Gap area between the East and Main zones, in the J Zone and within the 1.65km strike of the North East Zone as shown in figure 2 below. 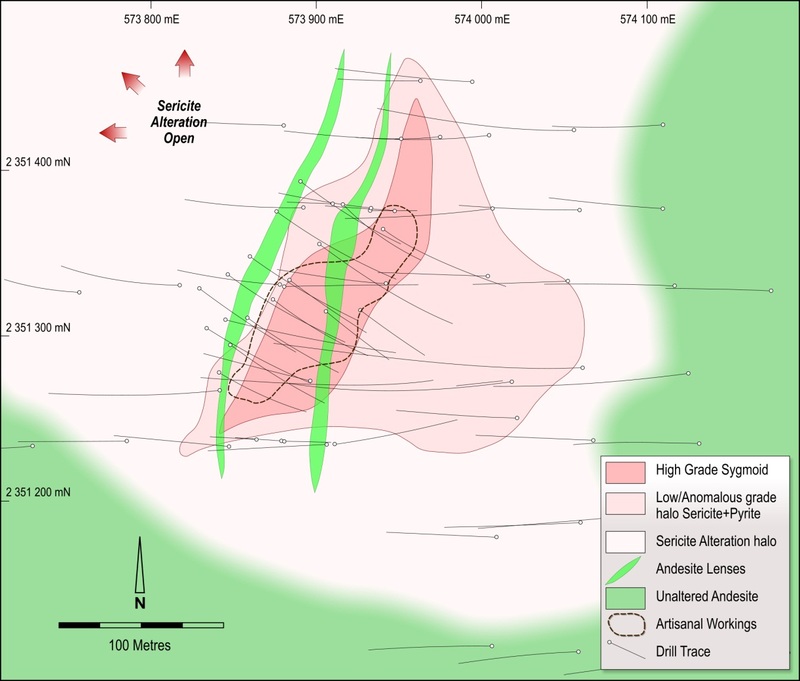 Mineralisation at GSS is hosted by strongly sheared and sericite-quartz altered diorite. Gold is fine and is closely associated with pyrite. The new Resource at Wadi Doum (previously EG3.2) is hosted in very similar lithologies with gold strongly associated with an area of intense sericite alteration and pyrite mineralisation. The core of the Resource at Wadi Doum is a 200m long, sigmoidal area of high grade mineralisation up to 70m in width that is being exploited in part by artisanal miners. Drilling in this area has yielded numerous high grade intercepts as shown in the table below and in figure 3. Orca is continuing to conduct metallurgical test work. Direct leach test work is currently returning recoveries of 92% for oxide, 87% for transition and 79% from fresh rock. Flotation is also being assessed and initial tests appear able to produce a concentrate containing 97% of the gold which, when combined with fine grinding (-32 micrometres) and intensive leaching, achieves recoveries of 81% in fresh rock. Test work is continuing. Exploration within Orca's 7,000sqkm Block 14 permit is ongoing with new targets being developed from continued follow up of artisanal works and from alteration mapping. Target P, 9km southeast of GSS was discovered recently based on several small, old artisanal workings (see figure 1). Grab sampling of an altered and pyrite mineralised felsic dyke over a strike length of 600m has averaged 1.54g/t (66 samples). The focus of exploration in 2015 will be to identify and develop new targets that will add satellite resources to GSS and to continue metallurgical test work to identify the optimum process route ahead of scoping studies. Commenting on the results, Hugh Stuart, President and CEO, said, "The Resources at GSS and Wadi Doum are shallow and, therefore, potentially amenable to open pit mining. The focus in 2014 was to add further resources around GSS and to discover and define a second resource in Block 14. Both of those objectives have been achieved. Exploration in Block 14 is still at an early stage and we believe in the potential of delivering more discoveries as we move forward with our work." The Mineral Resource estimate was carried out by Nic Johnson of MPR Geological Consultants of Perth Western Australia who is considered to be independent of Orca Gold. Mr Johnson is a member in good standing of the Australian Institute of Geoscientists and has sufficient experience which is relevant to the commodity, style of mineralisation under consideration and activity which he is undertaking to qualify as a Qualified Person under National Instrument 43-101. Mr Johnson consents to the inclusion in this press release of the information, in the form and context in which it appears.